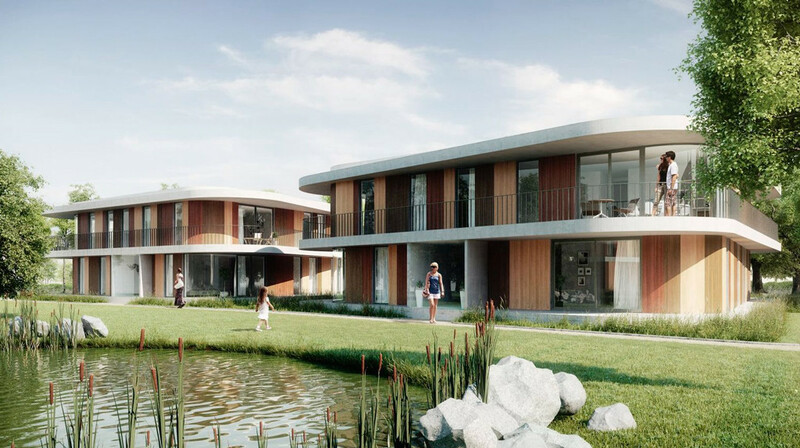 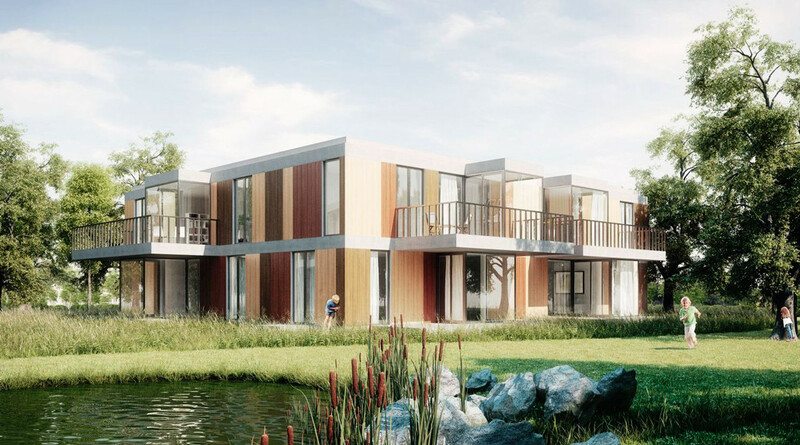 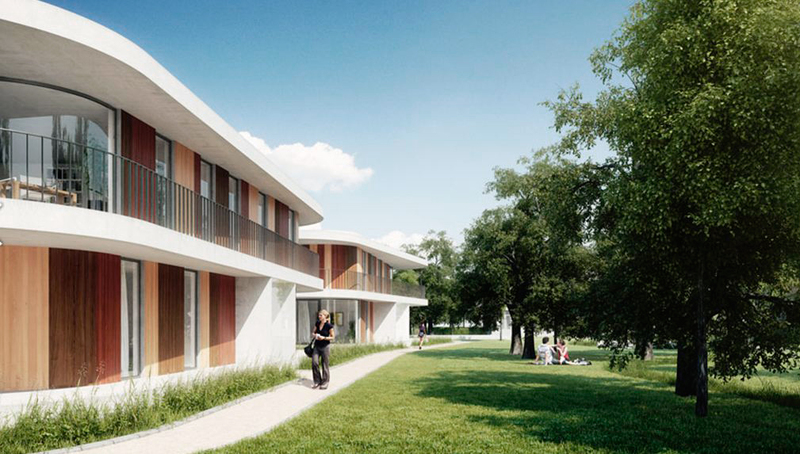 An old park in Deurne has been given a new identity with modern residential buildings criss-crossing the vegetation. 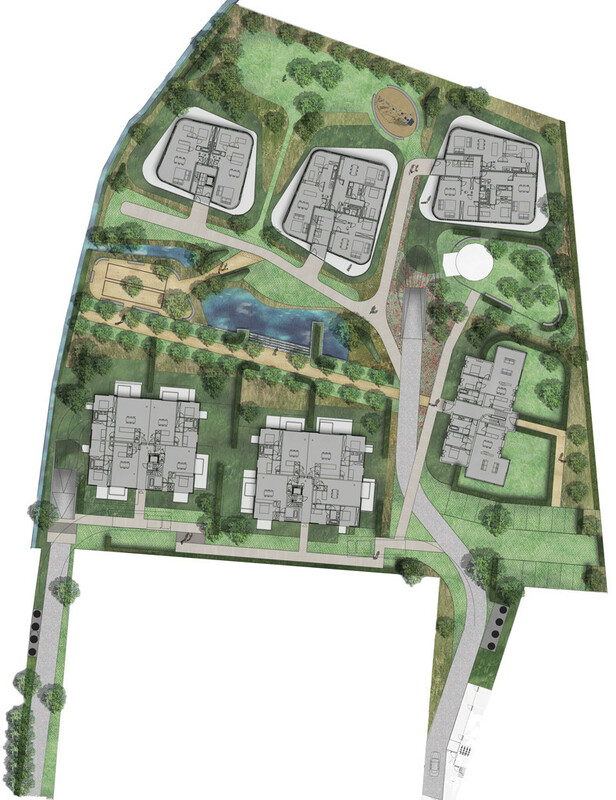 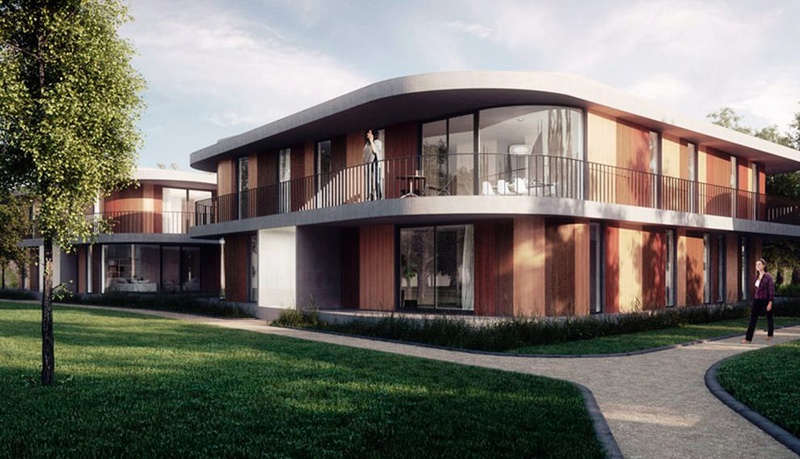 Avantgarden provided a befitting landscape with meandering paths and utility tracks alongside areas of forestry, open grass lands and a large central lake that provides water buffering against heavy rain. 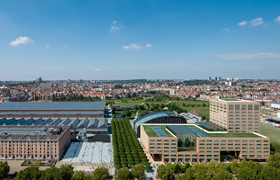 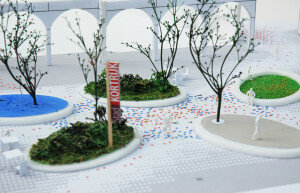 Architecture: Crepain Binst Architecture and Inarco.